Lawrence Edwards got the only goal as Littlehampton Town came out on top in their SCFL Premier Division clash at neighbours Worthing United last night. Edwards' effort 11 minutes from time ensured Golds were 1-0 winners at Lyons Way. Football was put to one side prior to kick-off with a two-minute silence held in memory of former Mavericks players Matt Grimstone and Jacob Schilt on the third year anniversary of the Shoreham Airshow crash. Golds boss Nigel Geary, who was in charge of United when Jacob and Matt were killed in the Shoreham Airshow tragedy, admitted it was a difficult evening. He said: "Worthing United were brilliant, arranging for a minute silence each for Matt and Jacob to be held before the game. Myself and a lot of the players currently at Littlehampton were with me at Worthing United when Jacob and Matt died, so it was nice to be able to remember them in front of their stand at Worthing United. "When the football got going, I'd say it was the worst we've played against Worthing over the three games this season. Lawrence (Edwards) was a big part of the team when Jacob and Matt were at the club so for him to get the winner was fitting." Player-manager and Mavericks goalkeeper Matt Evans pulled off a couple of stops in the first 45 minutes. United squandered a great opening after the restart before Edwards' thunderous finish sealed a second straight win for Golds. 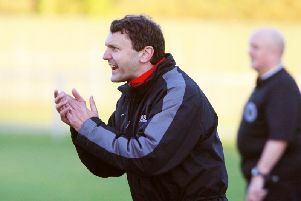 Mavericks player-manager Evans echoed the views of Littlehampton boss Geary. He said: " It was an emotional evening for everyone. Littlehampton have a lot of players who were at Worthing United when the crash happened so to be playing them on this day made it quite poignant. "Some things are bigger than football and to see the families and many ex-players who knew Matt and Jacob was something really special. "It’s the third time in ten days we’ve played each other so it was always going to be tight but the magnitude of the day made it difficult for both sets of players to find any rhythm. "I’m so proud of my players though. To play in these circumstances isn’t easy for anyone. "I thought they acquitted themselves brilliantly and anyone watching would’ve said we deserved at least a draw." WORTHING UNITED: Evans; Nagle, Luff, Webber, Sherwood, Hurley, Patching, Funnell, Deacon, McKernan, Robbins. Subs: Layton (Hurley, 60), Tapscott (Robbins, 65), Ellis (Nagle, 75), Seymour, Mulhern. LITTLEHAMPTON TOWN: Platt; Hands, Haward, Boxall, McKay, Edwards, Borges, Hayes, Santos, Elliott, Lintott. Subs: Rahman (Lintott, 59), Tilley (Hayes, 62), O'Regan (Elliott, 90), Khan, Askew.